Color: mainly silver. ;Material: durable hard alloy and rhinestone. ;Crown height: about 4cm; Head circumference: about 20cm. 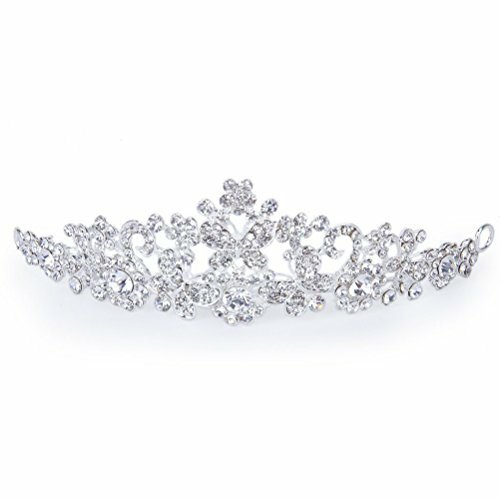 ;Some shining crystal rhinestones decorated on the butterfly love flower crown headband, very delicate and attractive. ;Suitable for bridal or bridesmaid to wear in the wedding party, and also suitable for prom and other occasion you want to be more charming.